Last night, I spoke, along with ten others, about mental illness. Not in a, “Oh, that might happen to someone you love” type way. Nor was I using my professional status as a psychologist to discuss symptoms and treatment. It was the “This Is My Brave” program. And I was talking about my own mental illness. My husband was there, as always, for support. I’m sharing my speech with you. I wish you could hear the others — maybe I can think of a way. They were moving, eloquent, funny. Most talked about the bravery and acceptance required to cope with mental illness. All asked for understanding and the elimination of stigma. I’m not sure that I’ve ever felt more vulnerable. And more grateful. It was time to speak openly. I’m glad I got the chance. So I hope you learn. And if you also struggle with mental illness, know you’re very far from being alone. Years ago, I was sitting in my psychiatrist’s waiting room in Dallas on a hot, muggy afternoon. I’d said hello to his receptionist, Kathleen, who happened to be his wife. She was your quintessential version of a 1980’s Texas woman. Coal black hair pouffed up, Barbie-style – jangling bracelets that hung generously on her arms– and wearing sweet perfume that you smelled as soon as you walked in the door. Her smile was warm and kind, and I liked her. That particular day, she came out from behind the glass partition, and sat down quite close to me. “Can I ask you something?”, she whispered. And there was a pause. She was right. Raymond would have killed her. I told her that I had panic attacks. She nodded her head, and looked sort of sad. And off she went, back to her perch, quite happy with her newfound information. I also could’ve told her that I’d had anorexia in college, or that I’d become clinically depressed not long after my first marriage ended. What was plaguing me at that time of my life, however, was anxiety. It started when I was in my late 20’s. I was working as a jingle singer by day, singing radio and TV commercials. By night, I sang jazz in various hotels and night clubs. My personal life was chaotic, but I was doing my best to hide that from those who loved me. I’d gone home to sing at my local church – something I’d done hundreds of times before. As I took my first breath, my body started shaking, gently at first, and then violently. My heart was pounding, sweat was beginning to roll down my legs. Choir members around me held out their hands, afraid I was going to fall. I was mortified. I barely got through the song. And left the church, frightened and confused. Yet it was several years afterward, before I sought treatment. I didn’t want to believe that I had a mental illness, so I tried to hide it from myself, and certainly from others. For you see, when I’d been anorexic, I’d told myself I was just thin. When I’d become depressed, I’d rationalized that I’d made a terrible mistake and was simply unhappy. But anxiety was invading my life. Interestingly, I didn’t mind so much the anxiety. It was the shaking. I hated that my anxiety, my vulnerability, showed. So I was in Raymond’s office to get rid of it. I wanted it gone. Out. I hated my panic. It embarrassed me. I never knew when it would emerge. Singing, performing – which all my life had been as natural as breathing in and out – had become frightening. It was beginning to seep into other situations, which now I know is called “social anxiety.” I felt, at seemingly random times, like I needed to run away from simple conversations, due to a creeping trembling that I knew could grow to immense proportions. Many things changed over the following years. Personally, I started making much better decisions. And I changed professions. Yet, thirty years later, I still have anxiety. Perhaps if you’ve ever talked with me one on one, you may notice that I often lean against the wall, or steady myself with a chair. That’s my anxiety. You might see that at a party, I find something to do. I pick up plates, or serve food. That’s my anxiety. And even as I’m writing this – my heart is starting to race, my stomach feels jittery. I feel as if I’ve suddenly drunk a bunch of caffeine, when all I’ve had is orange juice. That’s my anxiety. Tonight, I debated strongly whether I would take the meds that keep my body calm. They’re called beta blockers, and they work very effectively with performance anxiety – which I can assure you, I have right now. You would see me far differently – a bit like seeing Michael J. Fox without his meds for Parkinson’s. But I decided my message was more important than the perhaps dramatic show that might go on if I was medication-less. I’ve seen therapists for my anxiety – including Raymond. I understand the source – part of it is genetic, as my mother suffered with obsessive-compulsive disorder and a paternal grandfather I never knew had panic attacks. I struggle with perfectionism and there’s an ever-critical voice I battle inside my head. I’m much better. But I’m not cured. In fact, two years ago, I experienced the worst panic attack of my entire life, this time, while driving on the highway. I’d never had panic driving before. It was horribly frightening. It was as if I’d developed a new strain of my illness, with no immunity to its devastation. 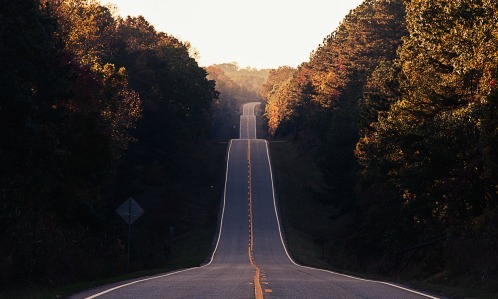 It’s been another hill to climb. Another opportunity to learn and grow. Because you see, it does no good to hate my panic. That’s what I’ve learned. It’s as much a part of me as whatever competence I have. It’s me at my most raw. It’s me, at my most vulnerable. But it’s me, whether I like it or not. So my message is this. 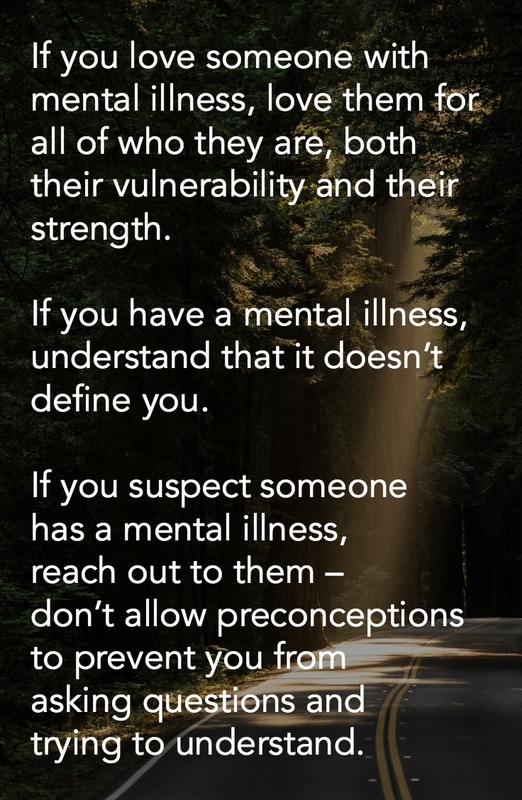 If you love someone with mental illness, love them for all of who they are, both their vulnerability and their strength. If you have a mental illness, understand that it doesn’t define you. If you suspect someone has a mental illness, reach out to them – don’t allow preconceptions to prevent you from asking questions and trying to understand. I have a mental illness. I’m not always in control of where my mind and heart can travel. But if I accept myself, I can learn to lean in to that vulnerability. I still struggle with my body image, but I’m not anorexic. I get down from time to time, but I’m not depressed. My anxiety? We remain on a journey together. Click here for “Marriage Is Not For Chickens,” the new gift book by Dr. Margaret! It’s perfect for engagements, anniversaries, weddings, or just for the person you love!